Everyone else is reading it? It has thousands of 5* reviews on Amazon? You think the person who wrote the 1* review is an idiot which means the book is good? One of your friends wrote it? I applied the same answer for the process of writing, publishing, and selling a book. It will be a back-of-the-envelope type calculation, but I will provide you with the document to download and add as many variables as you need. To get your reader there is the hard part. There’s nothing easy in addressing numerous potential buyers. Readers aren’t just readers. This book is a genuine face to face with Guy, sitting on the beach, listening to the waves and his voice telling his life story as is. No filter, no excuses, no holding back. Do you really care if your friend, or an expert, or anybody that reads a few pages of your book thinks you should quit? 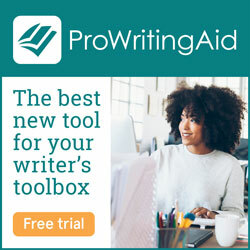 Does really helps you if they say you should keep writing? When you’re alone with your keyboard, paper page, or recorder, does it really matter if the others support you or not? How much do you think an acquaintance or even a friend will risk paying for a book that might be good or not, just because they know you? Is it possible that a reader might risk a small amount of money for an unknown book? Is it also possible a person will pay more after reading the book if liked? How about an online shop from where you can download a book for free and you can pay the price or not after you read it? When I got my first paycheck, I bought books. Reading was still the only form of freedom. As years passed, I moved through careers, jobs, and always felt a prisoner. Reading kept me sane. Reading and living in the worlds created by words was my freedom. What can you do in a world where those thousands of hours are dedicated to writing by thousands of other people? Reading a book is reading a book, no matter the support on which is written. If I have to make a choice about what is important for me, I will not ponder about what eReader to use. The only thing that matter is the act of reading. The monopoly of the publishing houses wasn’t broken by the opportunity to self-publish, but because their power to sell got taken from them. Internet and social media did this. The test of time and writing a book to make you proud. Do you feel satisfaction for what your book has achieved in teaching readers something good, changing the world? Is it a gratifying experience to hold a hard copy of your book in your hands? Do you feel proud of your creation and say: “I wrote this book!”?